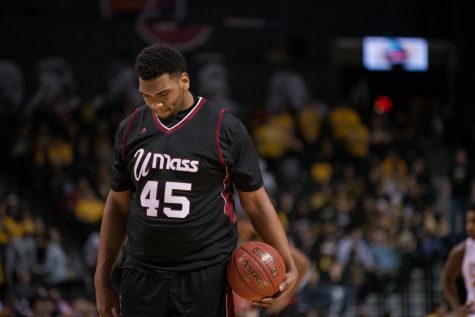 Perhaps it’s time to take notice of the Massachusetts men’s basketball team. 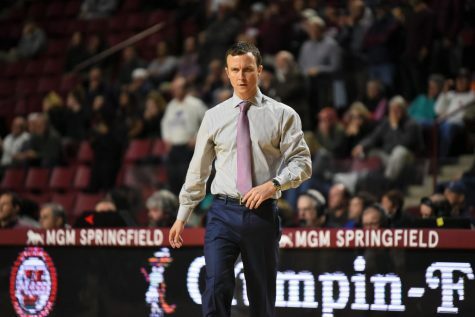 On Saturday afternoon, the Minutemen (14-4, 3-1 Atlantic 10) scored arguably their biggest victory of the season, defeating Saint Joseph’s, 71-62, at the Mullins Center, preserving their 10-0 record at home. 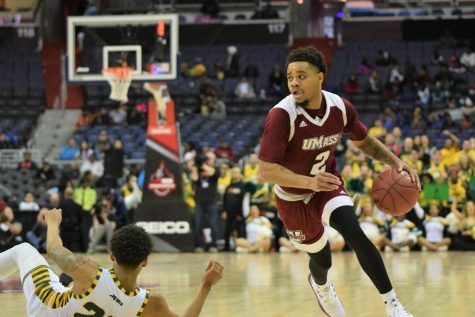 Chaz Williams again starred for UMass, out-dueling the Hawks (12-6, 2-2 A-10) point guard, and A-10 leading scorer, Carl Jones. 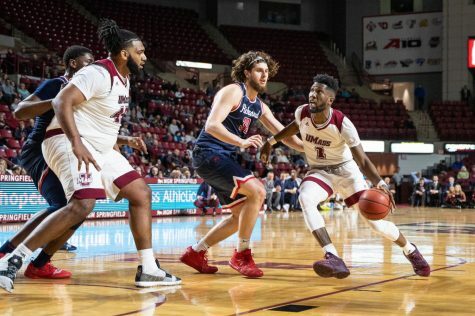 Williams went off for 22 points, added seven assists, six rebounds, and turned the ball over just once in 34 minutes of play. He put the game on ice with an impressive free throw shooting display down the stretch. The sophomore point guard went 8-for-8 in the final minute of the game, eliminating any possibility of a SJU comeback. He also held his counterpart, Jones, to four points on 2-for-12 shooting from the field. The junior entered the game averaging 18 points per game. Aiding Williams was sophomore forward Raphiael Putney, who scored 17 points, and grabbed seven rebounds. Over the past eight games, Putney has emerged as the much-needed secondary scorer to Williams. During those games, he’s averaged 12.8 points per game and 6.5 rebounds per game. The pair of Williams and Putney connected on a thrilling top-play, which made the highlight reel of Sportscenter days later. Williams, on a fast break, passed the ball between his legs back to Putney, who jammed the ball home with SJU defenders in his face. 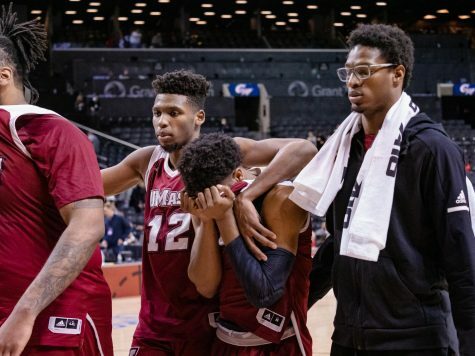 Seven minutes into the game, it appeared that the Hawks were prepared to blow UMass out of its own gym. 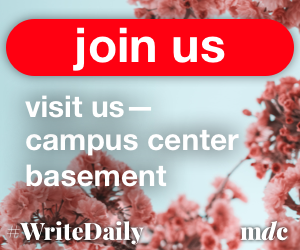 The Minutemen had dug themselves into an ominous 20-3 hole. 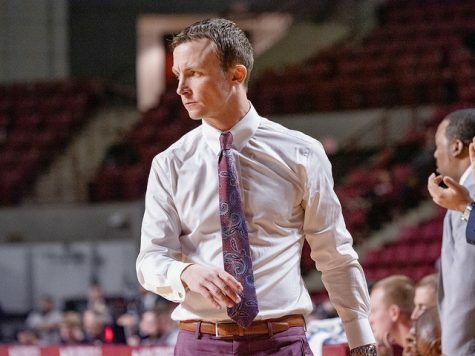 However, UMass coach Derek Kellogg called a timeout to steady his troops, and his team responded by going on a 13-0 run following the timeout. 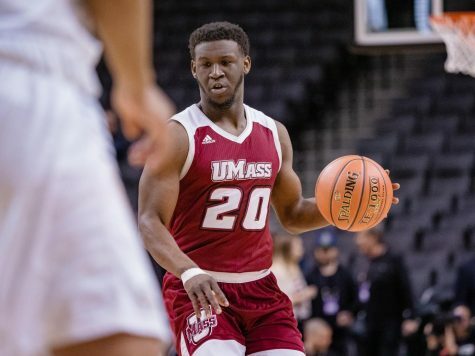 The Minutemen rebounded in the remainder of the half impressively, outscoring the Hawks 30-12 after the initial 20-3 deficit. Putney did the bulk of the work in the first half, tallying 13 points and leading the Minutemen to a 33-32 halftime lead. UMass began to build a sizable second half just about 10 minutes into the half. 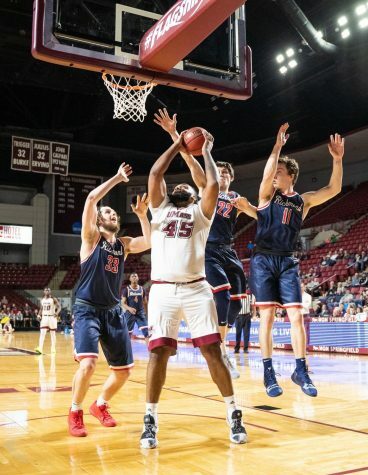 Jesse Morgan and Putney knocked down three 3-pointers in a two-minute stretch and they opened up a 56-47 lead, the largest lead for the Minutemen to that point. 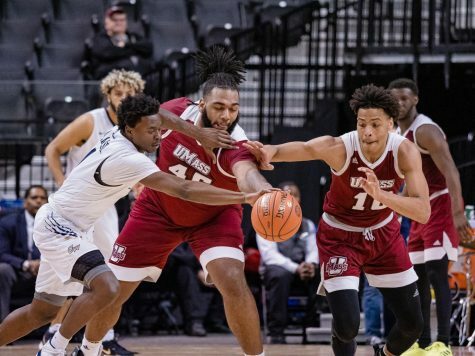 From that point on, UMass never relinquished the lead thanks to the offensive performances of Williams and Terrell Vinson. Vinson scored eight of his 11 points in the second half, and made a pivotal shot to preserve the lead in the final minutes. In addition to their fine defense versus Jones, the Minutemen held Hawks shooting guard Langston Galloway in check. Galloway shot 3-for-8 from the field, 1-for-3 on 3-pointers, and fouled out with just eight points. Galloway (15.9 points per game) has established himself as one of the most efficient scorer’s in the A-10. He leads the league in 3-point percentage at 51 percent, and is tied with Richmond’s Darien Brothers in made 3-pointers with 49. 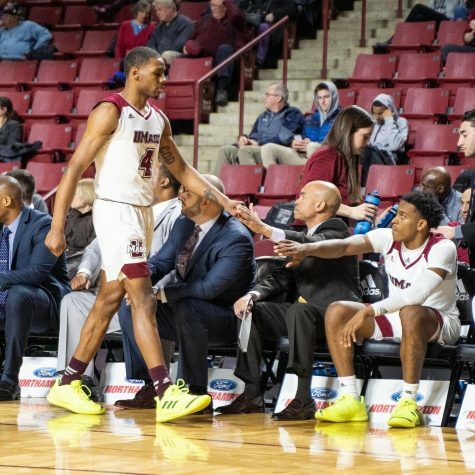 The Minutemen will now hit the road to face Duquesne on Wednesday night. Jackson Alexander can be reached at [email protected] and followed on Twitter @MDC_Alexander.